How would you like to grab private label rights to your own Natural Eating PLR product? 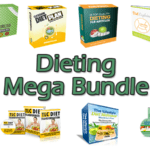 Yes you heard right, today you can own your own Natural Eating PLR bundle that you can rebrand and resell as your own! 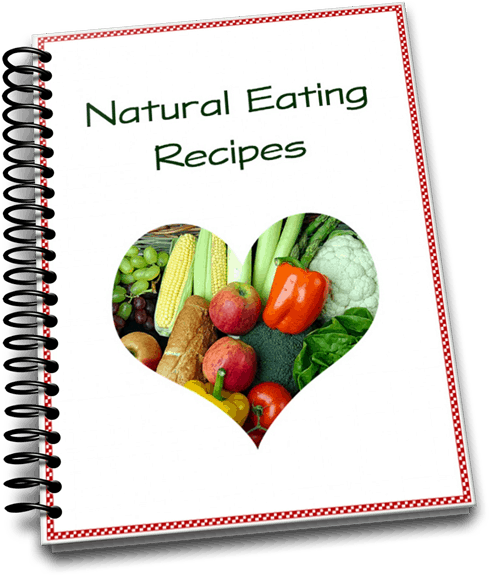 So What Do You Get With This Natural Eating PLR? Amazing right? 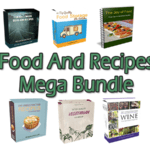 Yes if you grab the Natural Eating PLR Pack today you’ll be able to get your PLR license at the lowest possible price! Don’t miss out on this great deal and STEAL this value packed PLR deal for only $4.99 today! This deal might not be around forever, so grab it while you can and sell unlimited copies and KEEP ALL THE PROFITS!! Fill a large bowl with ice water. Place to the side. Bring a large pot of water to a rolling boil. Add asparagus and carrot pieces to boiling water. Let boil for 1 minute. Add peas to mix, cooking for 1 more minute. Transfer vegetables to ice water using small sieve or slotted spoon. Let cool for 1 minute. Drain. Cook pasta in medium pot over medium heat according to package directions. Drain, saving 1/2 cup of the cooking liquid. Save the pot to use later. In a small saucepan, mix beans, oil and 1 pinch each salt and pepper. Let heat up on medium until warmed through. Reduce to low heat to keep concoction warm. Using cooking spray, mist a large sauté pan and place on medium heat. Use 1 pinch each salt and pepper to season scallops. Add to pan. Sauté scallops about 3 minutes, or until they are opaque and cooked through. Return pan from pasta to stove top, set on low heat. Add cream cheese, reserved pasta water, additional salt (if desired), rest of pepper and garlic powder. Using a whisk, blend until smooth. Add artichoke hearts and cook for another 30 seconds. Put in the asparagus, carrot, peas, pasta, lemon zest, lemon juice and basil. Coat pasta with sauce by tossing. Transfer 1 1/2 cups of cooked pasta to a large serving bowl. Add the beans. Use the scallops in the remaining pasta in pot, tossing to mix well. Divide evenly among 3 bowls to serve. In a large skillet or frying pan, heat oil over stove burner on medium. Once oil is heated, add onion. Cook onion, stirring occasionally, for about 3 to 5 minutes or until tender. Cook and stir for 2 to 3 minutes or until hot. Top off with sprinkles of flour and thyme. Pour in broth and milk, stirring for 4 to 6 minutes, or until thickened. Add chicken, parsley, pepper and salt. To a 9-by-13 inch (or 3-quart) baking dish or pan, transfer concoction. Turn on oven to 350 degrees Fahrenheit and allow to preheat. In a large bowl, mix whole-wheat flour, baking powder, sugar and salt with a whisk. Adding butter, rub ingredients together with your fingertips until it begins to look like cornmeal. Drizzle oil over mix, tossing well until coated. Sprinkle milk into mix and blend together. On a lightly floured surface, turn dough out and knead a few times. Pat or roll the dough into a 10-by-6-inch rectangle. Cut rectangle into 6 biscuits. Carefully set the biscuits on top of the filling with equal space in between each. Place in oven and bake the potpie 38 to 40 minutes or until bubbling around the edges and the biscuits are light brown. Cool off for at least 10 minutes and serve. You are hereby granted the right to resell this product as is, give it away in return for a lead, add it to a free membership site (only if opt-ins are required in order to access the membership site), add it to a paid membership site, use it as a bonus for a paid offer, package it together with a paid offer. 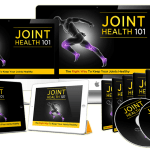 You are ALSO granted the right to repurpose this PLR content, change the title, the cover, add your name as the author, use the audio separately, remove the audio and add your own voice over, use the text as a blog post or article, or literally anything you want. This is all for selling/giving to END USERS ONLY. You MAY NOT Sell resell rights for this product. You MAY NOT Sell PLR rights for this product. You MAY NOT Mention Warlord Marketing or WarlordMarketing.com or my name, or the word “PLR” anywhere on or inside this product nor on any sales pages or anything at all. Again, if you want to say that YOU wrote it or that YOUR website/business created it, that’s fine. We do web crawls and deep web searches regularly and we WILL know if you have violated these rules. Legal Disclaimer: This license is Non – Transferrable; meaning you cannot give these same rights away. If you want to sell rights to your customers; pay close attention to the license below. We closely monitor vendors that sell the product and take legal violations seriously.